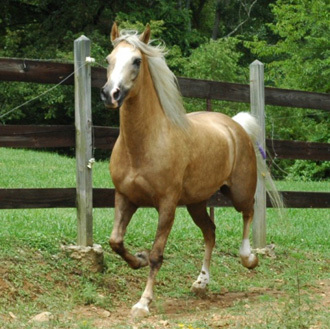 This big 15.1 hand, pretty, athletic, sweet, 2000 Nashboro Palomino Morgan Mare has potential for show, sport, trail, pleasure and breeding. 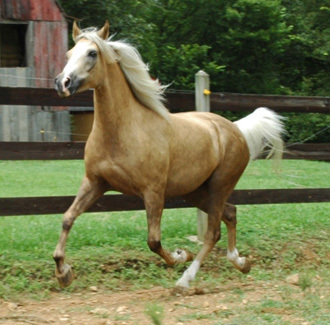 She has a great willing attitude and big forward moving trot. As for her impeccable bloodline, she is line bred to Nashboro's foundation sire Allen's Oglala Gold and represents most of Nashboro's foundation mares. All consisting of a must see Old Government and Brunk pedigree.